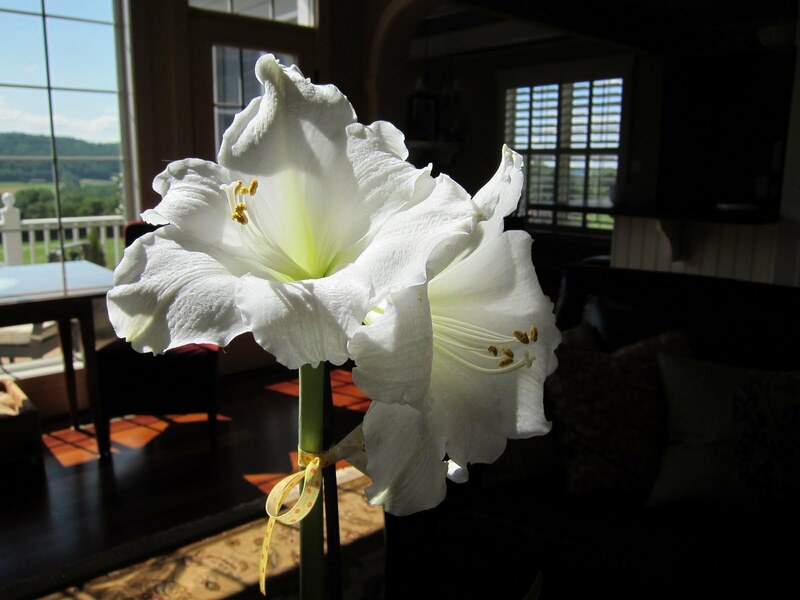 Meet my persistent amaryllis. It's blooming in June. 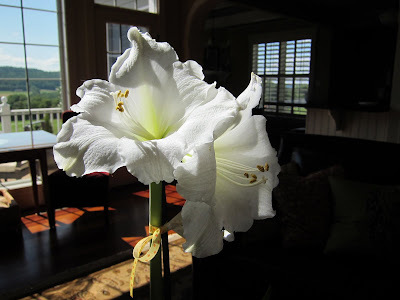 Do amaryllis usually bloom in June? 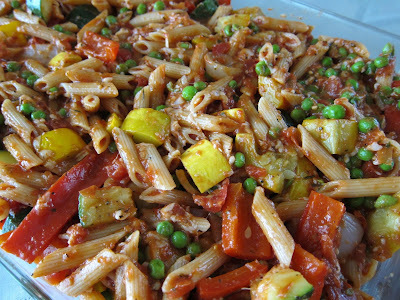 Baked Penne with Roasted Vegetables just before going in the oven. This dish turned out to be very popular with the ladies at our recent bridal shower. It's overflowing with goodness and lends itself to substitutions :: use whatever veggies you happen to have on hand. I'm thinking of replacing the pasta with quinoa for an extra protein boost. Still smiling over this gorgeous little refrigerator dish. A quick stop at a new-to-me antique store revealed this beauty sitting on a shelf just begging for a home. 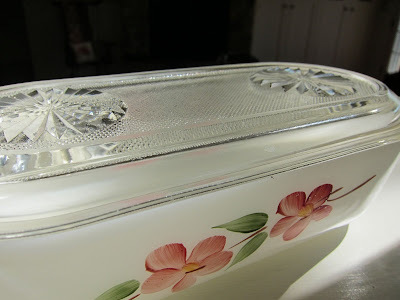 It's marked Anchor Hocking, Fire King Ware and I believe the pattern is called Dogwood Blossom. I can't imagine placing this in a kitchen cabinet behind closed doors. We're spiffing up our home-office and I think it will be just perfect for holding all sorts of desk-related necessities. I want to admire it every single day.